This tutorial will show you a way to add a creative color effect to black and white photos. This works best with an image of a light object against a darker background. Open your image in Acorn, File ▸ Open. If your image is not already black and white, go to Filter ▸ Color Adjustment ▸ Color Controls. Bring the Saturation slider all the way to the left so that the image becomes black and white. 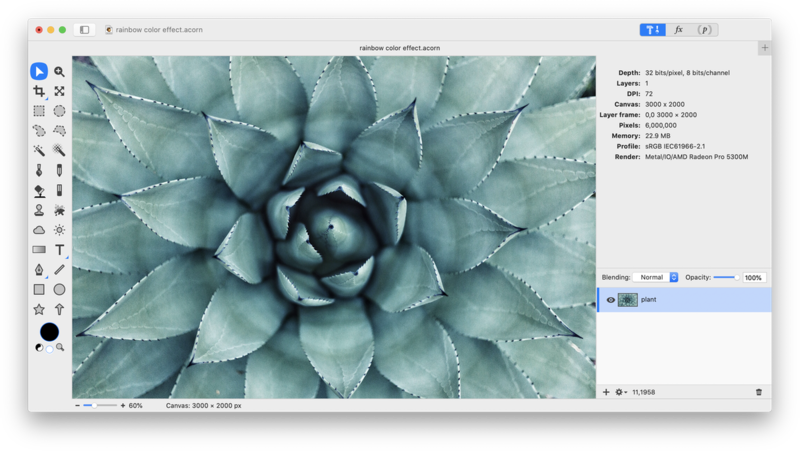 Now, create a new layer on top of your image, Layer ▸ New Layer (⇧⌘N). 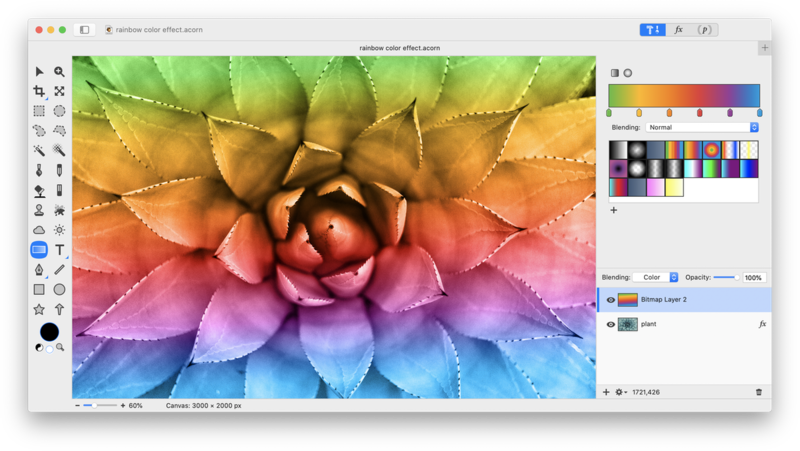 Select the paint tool and paint some colors over the image. ...Or apply a Gaussian Blur to the Color layer by selecting Filter ▸ Blur ▸ Gaussian Blur to smooth out the color.